Most people in Queensland did not live in Art Deco houses during the interwar years. However a taste for the modern could still be satisfied in more modest ways, through interior furnishings that reflected the international style. Queensland furniture manufacturers, such as Brisbane-based company Hixco, helped usher in this new enthusiasm for modernity by adapting design ideas from Europe and North America for the local market. John Hicks arrived in Brisbane in the 1860s and established his furniture business in a small weatherboard building in Albert Street. Booming trade led to a series of relocations and expansions over the decades that followed, and by the 1930s Hixco had transformed into a publicly-listed company that filled an impressive six-storey warehouse on the corner of George and Ann Streets, with a separate factory on Coronation Drive, Milton. The warehouse included a multi-level showroom which invited customers to browse not only furniture, but also curtains, floor coverings, lighting, record players, linen and crockery. Whole bungalows consisting of bedrooms, bathroom, lounge room, breakfast room and kitchen were set up inside the warehouse so that customers could visualise the complete Hixco home. For those outside Brisbane, Hixco representatives made regular visits to towns such as Yarraman, Toogoolawah, Esk, Lowood and Nambour, with a permanent outlet eventually established in Margaret Street, Toowoomba. Hixco prided itself on catering for a diverse market. Advertisements proclaimed that “nothing is too large or too small for the Hixco Factory to handle”, seeing the firm fit out everything from hotels, apartment developments and businesses, to private homes reflecting both modest and substantial incomes. An emphasis on affordability was particularly notable during and after the Depression years, when Hixco introduced new sales strategies such as lay-by plans, and offers to furnish four rooms at a set price. This was also the era in which the simpler lines of modern furniture – cheaper to manufacture than ornate period styles – came into vogue. While continuing to cater for more traditional tastes with lines of Queen Anne, Jacobean and Chippendale furniture, by the early 1930s Hixco had firmly established its new Art Moderne range. Lounge, dining and bedroom suites embodied the simple lines and angles now synonymous with the Art Deco movement. At the same time, Hixco’s furniture retained a distinctly local flavour with the use of veneers manufactured from Queensland-grown timbers such as maple, walnut and mahogany. Helping to assert Queensland’s connection with the international movement that was modernity – or perhaps to make it more palatable to conservative tastes – Hixco gave local names to its Art Moderne product lines. Dining suites were named after Queensland towns and regions such as Pittsworth, Inglewood, Milmerran and Lamington, while bedroom suites carried the names of Brisbane suburbs including Wilston, Albion, Herston, Sherwood and Annerley. Notably, the Hamilton suite (£68) was more fashionably streamlined and substantially more expensive than the Corinda (£15) or Rocklea (£13) suites. Hixco sought public platforms to showcase its Art Moderne range. In 1933, the company furnished a display apartment in New Farm’s freshly minted Coronet Court “to show the type of furniture which looks well in such a modern building”. At the same time, Hixco was careful not to alienate its traditional customer base, whose more conservative tastes had not diminished with the rise of modernity. In 1934, the company fitted out a reception room at Parliament House with both modern and Elizabethan lounge suites, in readiness for a visit from Prince Henry, Duke of Gloucester. Similarly, at its first RNA showing for many years in 1937, Hixco featured Art Moderne furniture alongside period pieces, speaking to its versatility. Hixco understood that modernity pervaded all aspects of life; to make its name synonymous with modern furniture manufacture, it needed to be associated more broadly with the modern movement. In the late 1920s the company held a public concert in its new warehouse, broadcast on local radio 4QG, featuring the Hixco instrumentalists performing jazz melodies and modern dance hits. Ten years later Hixco was sponsoring a weekly Saturday night vocal quest at the popular South Brisbane jazz hall, the Trocadero. 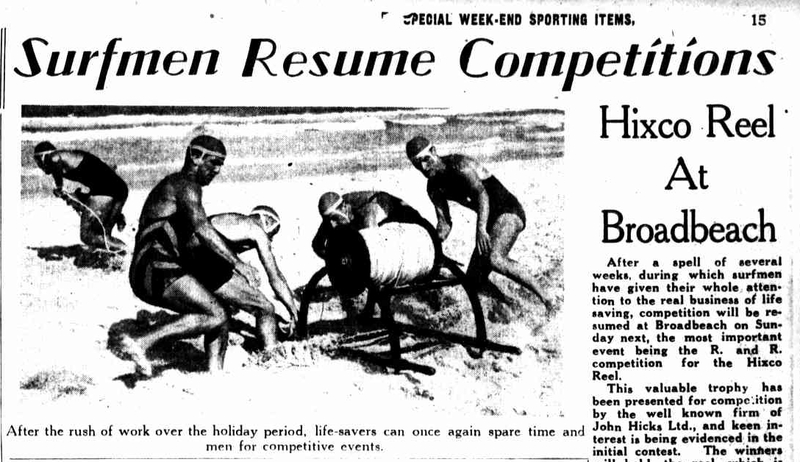 In an era when the surf lifesaver was the exemplar of modern athleticism and the celebrated sun-soaked lifestyle, Hixco supported men’s and women’s surf competitions up and down the coast. The Hixco Shield, the Hixco Reel and other similarly named trophies reminded people that this was a company leading the charge of modernity in Queensland. Image gallery L-R: Covers of Quality Dining Room Furniture, 1937-1941? ; Quality Bedroom Furniture, 1937-1941? ; Hixco Dining Room and Occasional Furniture, 1938-1941?. Published by John Hicks and Company Limited. Photographs by Queensland Deco Project. Physical items held by John Oxley Library, State Library of Queensland. Factory drawing from Furnishings for the Home, 193-?. Published by John Hicks and Company Limited. Photograph by Queensland Deco Project. Physical item held by John Oxley Library, State Library of Queensland. Portrait of staff at Hixco, ca. 1920. Courtesy State Library of Queensland. Warehouse drawing from Furnishings for the Home, 193-?. Published by John Hicks and Company Limited. Photograph by Queensland Deco Project. Physical item held by John Oxley Library, State Library of Queensland. 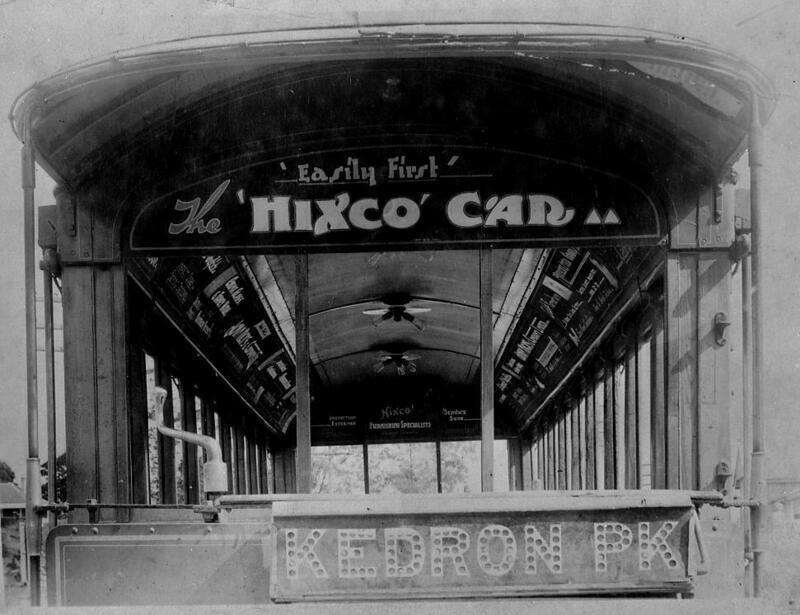 Advertising on tram – The Hixco Car, 1937. Courtesy Brisbane Archives, Brisbane City Council. 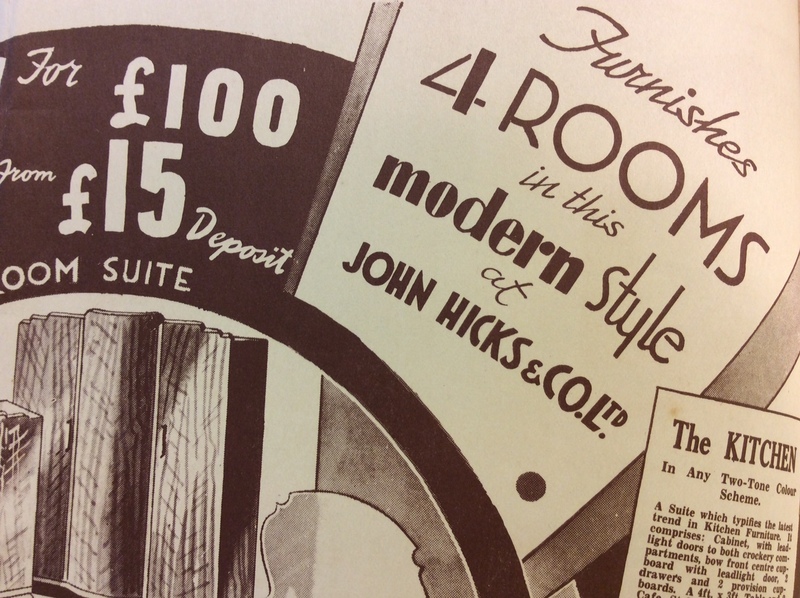 ‘Furnishes 4 rooms in this modern style’ close-up from Complete Furnishing Plans by Hixco: Leading furniture specialists for over 70 years, 1939. Photograph by Queensland Deco Project. Physical item held by John Oxley Library, State Library of Queensland. 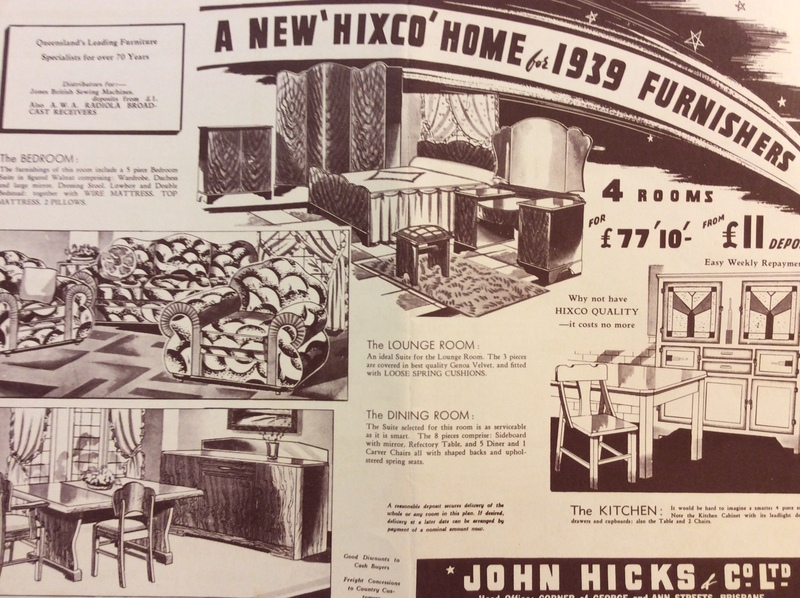 ‘A New Hixco Home for 1939’ from Complete Furnishing Plans by Hixco: Leading furniture specialists for over 70 years, 1939. Photograph by Queensland Deco Project. Physical item held by John Oxley Library, State Library of Queensland. Lamington, Milmerran, Pittworth and Inglewood drawings from Quality Dining Room Furniture, 1937-1941?. Photographs by Queensland Deco Project. Physical item held by John Oxley Library, State Library of Queensland. Slideshow of bedroom suites from Quality Bedroom Furniture, 1937-1941?. Photographs by Queensland Deco Project. Physical item held by John Oxley Library, State Library of Queensland. Occasional furniture drawings from Quality Dining Room Furniture, 1937-1941?. Photographs by Queensland Deco Project. Physical item held by John Oxley Library, State Library of Queensland. Fireplace drawings from Hixco Dining Room and Occasional Furniture, 1938-1941?. Published by John Hicks and Company Limited. Photograph by Queensland Deco Project. Physical item held by John Oxley Library, State Library of Queensland. Excerpt from “Surfmen resume competitions. Hixco Reel at Broadbeach.” The Telegraph (Brisbane), 1939, p.15. “Hixco Concert.” The Telegraph (Brisbane). 27 July 1927, p.3. “Hixco Furnishes Duke’s Reception Room.” Sunday Mail (Brisbane), 2 December 1934, p.4. “Hixco Furniture. Meeting All Demands.” Queensland Times (Ipswich). 11 May 1929, p.25. 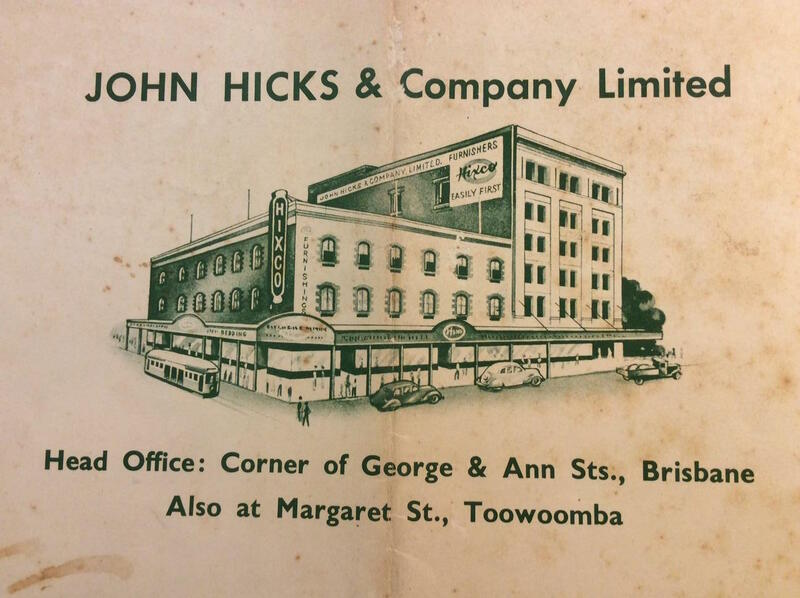 John Hicks and Company Limited. The Hixco Wedding Book. John Hicks and Company, Brisbane. Accessed via National Library of Australia. “Meander through Milton: Brisbane Heritage Trails.” Brisbane City Council. “Modern Style in Furniture.” Truth (Brisbane). 14 April 1929, p.17. Great article Iona. Really takes me back. In my teens, furniture stores were Hicks and Trittons, both in George Street. So good to be reading about Art Deco again! Lovely to see the Brisbane suburbs and surrounds immortalised. But I have to admit, when I saw Lamington, I first thought of the cake… Thanks for your fascinating education!